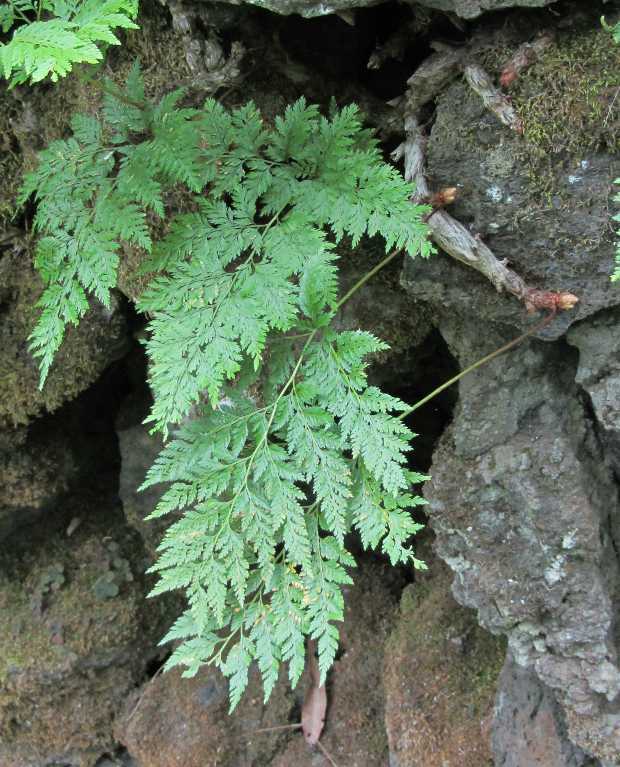 This is the Rabbit’s Foot Fern Davallia canariensis, which likes to grow in the warmer and damper parts of the island. It particularly likes dry stone walls, barrel-tile roofs and cliffs. 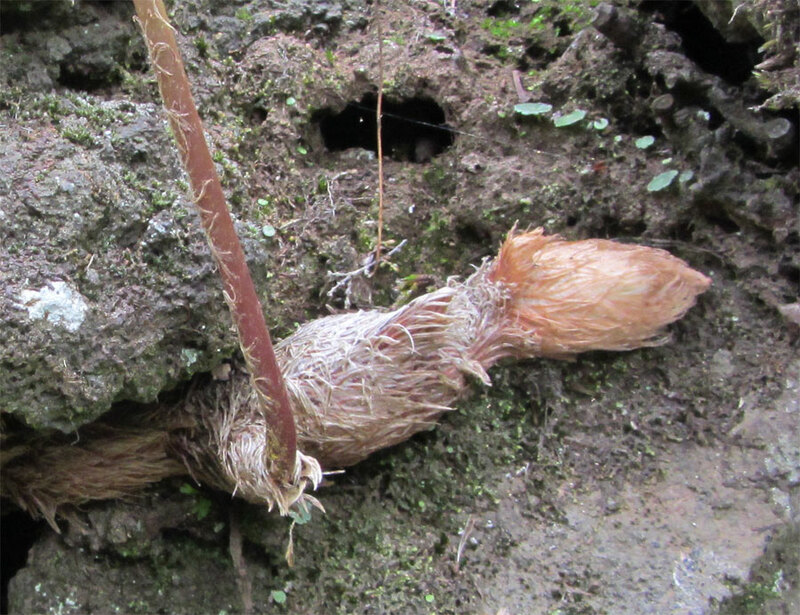 As you can see, the name comes from the root, which is very pretty. I believe that the Awara used to make gofio from it, and so did more modern Palmerans when there was nothing better available, although I’m given to understand that it’s complicated to prepare and it tastes bitter. It’s a nice looking plant, but not a tasty looking one.